If you want to look at getting value for your dollar, you won't need to look much further than 93 Brand's Hooks kimono. With the 2.0 edition, you get the fabrics, fit, and quality that we've come to expect from the East Coast fight company, plus updated graphics and colorways. 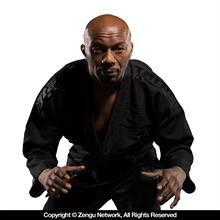 They've also added thickness and width to the jacket's collar, making it tougher for your opponents to grab chokes and helps the top keep its shape after repeated washes. Built from 425 GSM High-Tech Pearl Weave with ample reinforcements and minimal yet tasteful patchwork. 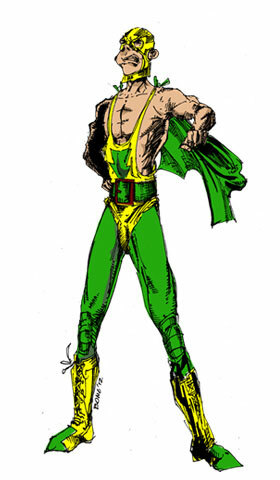 The Hooks' trousers are also quite simple, featuring only one patch (sewn at the left hip). While the graphics and patches may be minimal, 93 Brand did not skimp on the Gi's construction itself. Some noteworthy specs include full-length knee reinforcements (coverage and protection regardless of how bizarre your scrambles may be), a cord drawstring, and four drawstring loops. The interior seams that are most vulnerable and susceptible to fraying are protected by a soft, cotton taping. 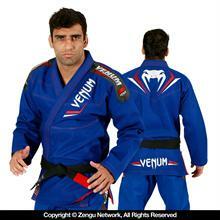 93 Brand's standard BJJ model delivers a surprising level of comfort and quality considering its impressive price point. Excellent for day-to-day training at any experience level. Q. I am very happy with this gi. It is comfortable and lightweight. The pants are slightly shorter than I had expected, especially because it's an A2L, but they're . . .
A. I am very happy with this gi. It is comfortable and lightweight. The pants are slightly shorter than I had expected, especially because it's an A2L, but they're . . . Comment. I am very happy with this gi. It is comfortable and lightweight. The pants are slightly shorter than I had expected, especially because it's an A2L, but they're . . .
Q. 6'1" - 165lbs. I ordered a A2L, washed it warm and it felt fairly close to where I wanted it but as soon as it started getting sweaty . . .
A. 6'1" - 165lbs. I ordered a A2L, washed it warm and it felt fairly close to where I wanted it but as soon as it started getting sweaty . . . Comment. 6'1" - 165lbs. I ordered a A2L, washed it warm and it felt fairly close to where I wanted it but as soon as it started getting sweaty . . .
6'1" - 165lbs. I ordered a A2L, washed it warm and it felt fairly close to where I wanted it but as soon as it started getting sweaty it stretched back out to the pre-shrunk size. Now I feel like I should have ordered the A2. Input? Q. Should I go A3? 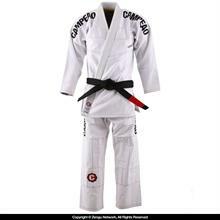 I want to get this gi for competition. Any help regarding size would be appreciated. A. Should I go A3? 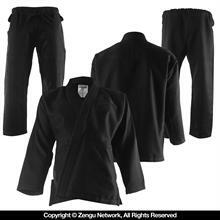 I want to get this gi for competition. Any help regarding size would be appreciated. Comment. Should I go A3? 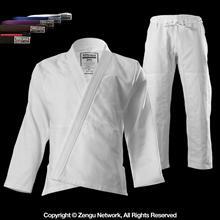 I want to get this gi for competition. Any help regarding size would be appreciated. Q. I'm 5'11" and 195 lbs. (but losing weight). A2 or A2L? I'm concerned about the shrinkage of the A2. A. I'm 5'11" and 195 lbs. (but losing weight). A2 or A2L? I'm concerned about the shrinkage of the A2. Comment. I'm 5'11" and 195 lbs. (but losing weight). A2 or A2L? I'm concerned about the shrinkage of the A2. Q. I'm 5'11.5" and currently weigh 195 lbs. (and dropping). I heard bad shrinkage stories about gold weaves. Should I get A2 or A3? A. I'm 5'11.5" and currently weigh 195 lbs. (and dropping). I heard bad shrinkage stories about gold weaves. Should I get A2 or A3? Comment. I'm 5'11.5" and currently weigh 195 lbs. (and dropping). I heard bad shrinkage stories about gold weaves. Should I get A2 or A3? Q. When will stock on the A4 and A5 come in? Also, what do you recommend for size. 6'2" 230 with a long torso. I like a looser fit, . . .
A. When will stock on the A4 and A5 come in? Also, what do you recommend for size. 6'2" 230 with a long torso. I like a looser fit, . . . Comment. When will stock on the A4 and A5 come in? Also, what do you recommend for size. 6'2" 230 with a long torso. I like a looser fit, . . . Bigger sizes are all restocked now :) You should get the A4 and shrink as needed. 93 brand runs bigger than Fuji. Q. ok, so I've rolled in the A4 and A2h. I'm happy with both to be honest. The A4 sleeves are a tad long, even after warm wash. But,otherwise . . .
A. ok, so I've rolled in the A4 and A2h. I'm happy with both to be honest. The A4 sleeves are a tad long, even after warm wash. But,otherwise . . . Comment. ok, so I've rolled in the A4 and A2h. I'm happy with both to be honest. The A4 sleeves are a tad long, even after warm wash. But,otherwise . . .
Q. Super soft out of the bag. After cold wash and hang dry, stiff...but wash again with fabric softener and it is soft again. they do shrink. I'm 6'1 . . .
A. Super soft out of the bag. After cold wash and hang dry, stiff...but wash again with fabric softener and it is soft again. they do shrink. I'm 6'1 . . . Comment. Super soft out of the bag. After cold wash and hang dry, stiff...but wash again with fabric softener and it is soft again. they do shrink. I'm 6'1 . 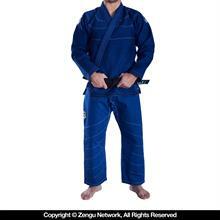 . .
Q. I am 6'0" and 175 lbs and I purchased the A2L - perfect fit and gi has AMAZING feel to it. The sleeves are on the long side, . 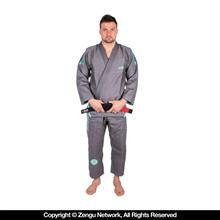 . .
A. I am 6'0" and 175 lbs and I purchased the A2L - perfect fit and gi has AMAZING feel to it. The sleeves are on the long side, . . . Comment. I am 6'0" and 175 lbs and I purchased the A2L - perfect fit and gi has AMAZING feel to it. The sleeves are on the long side, . . . 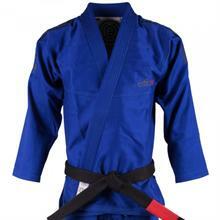 I am 6'0" and 175 lbs and I purchased the A2L - perfect fit and gi has AMAZING feel to it. The sleeves are on the long side, which I actually prefer (not too long), and they are narrower than other gis which I LOVE - hard to grip! 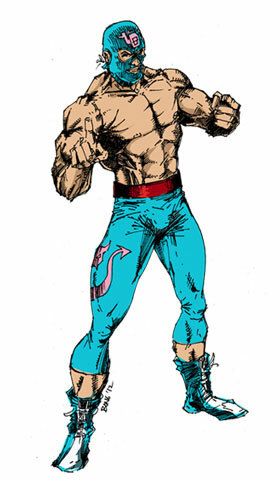 The only bummer is that the pants are just a little large (I have a 30" waist), but the same has been the case for the 3 other brands (Inverted G, Red Star, Storm) I have owned in past. I wish they could make you match different pants and jacket sizes, that would be a great marketing strategy (hint, hint). Comfortable gi. I bought size A2H for myself- I'm an overweight woman 5-8 220lbs and losing. The pants fit great for being men's pants. Great price. The wheel belt is too small (like all the other gis I've purchased, so no big deal). The waist is about 27 inches measured across while laying flat. Q. I took it to class today and my professor said to wash it and put it in the dryer for a little bit. Sleeves went about halfway over . . .
A. I took it to class today and my professor said to wash it and put it in the dryer for a little bit. Sleeves went about halfway over . . . Comment. I took it to class today and my professor said to wash it and put it in the dryer for a little bit. Sleeves went about halfway over . . .
Q. I'm 5'8", 145. The A2 was big on me. Would I be better off with the A1 or A1L? Thanks very much. A. I'm 5'8", 145. The A2 was big on me. Would I be better off with the A1 or A1L? Thanks very much. Comment. I'm 5'8", 145. The A2 was big on me. Would I be better off with the A1 or A1L? Thanks very much. I'm 5'8", 145. The A2 was big on me. Would I be better off with the A1 or A1L? Thanks very much. I took it to class today and my professor said to wash it and put it in the dryer for a little bit. Sleeves went about halfway over my hands, but I'm going to try what he said rather than get the A1. I wasn't sure if 93 just runs a little big, but I haven't washed it yet, so I hope it shrinks enough. Q. I am an Asian big boy.... 5'6", 240lbs, waist = 44. I bought an A4. Paid $15 to alter the pant hem and jacket sleeve and it fit . 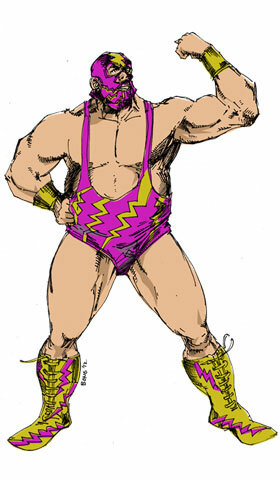 . .
A. I am an Asian big boy.... 5'6", 240lbs, waist = 44. I bought an A4. Paid $15 to alter the pant hem and jacket sleeve and it fit . . . Comment. I am an Asian big boy.... 5'6", 240lbs, waist = 44. I bought an A4. Paid $15 to alter the pant hem and jacket sleeve and it fit . . .
Q. I'm a real stickler for fit and the A1L fits like tailored suit after a quick wash. By comparison, my other gis fit like God dang potato sacks. . . .
A. I'm a real stickler for fit and the A1L fits like tailored suit after a quick wash. By comparison, my other gis fit like God dang potato sacks. . . . Comment. I'm a real stickler for fit and the A1L fits like tailored suit after a quick wash. By comparison, my other gis fit like God dang potato sacks. . . . 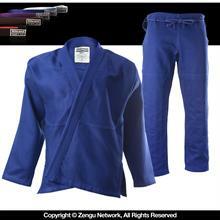 Wife is roughly 5"2-5"3 , roughly around 195lbs- 215'ish, any recommendation on size in relation to this gi? She alot of hips so to speak. Would an A2H be roughly in the ballpark? A2H will be a bit long due to her height, but is your best option. Sleeves/pants would need to be taken in a bit. Q. I am 5'8", 174 pounds ... looks like A2 would be the best fit ... would you agree? A. I am 5'8", 174 pounds ... looks like A2 would be the best fit ... would you agree? Comment. I am 5'8", 174 pounds ... looks like A2 would be the best fit ... would you agree? I am 5'8", 174 pounds ... looks like A2 would be the best fit ... would you agree? @GL You must have gotten a mis-labeled Gi top. There is no way an A1F should be big, at all, on someone 5'5" and 140 lbs. My teammate is 5'6" and 135 lbs and his A1F fits like a glove. 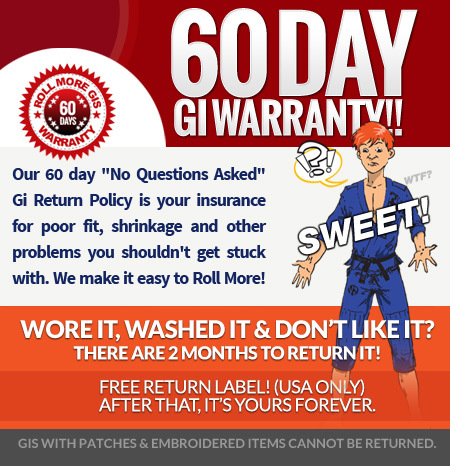 Please exchange the Gi (using your free return label and free shipping) for another A1F and I'm sure it will work. From time to time a factory is bound to put the wrong label on a Gi, sorry to hear that it happened with yours! GL - if you prefer a slim fit, then A1F is the way to go, absolutely. Q. 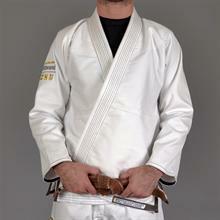 Love the gi, the quality is exceptional for the price, for instance the cuffs of the pants have 4 layers of stitching. I've had mine for 2 months . . .
A. 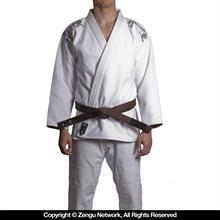 Love the gi, the quality is exceptional for the price, for instance the cuffs of the pants have 4 layers of stitching. I've had mine for 2 months . . . Comment. 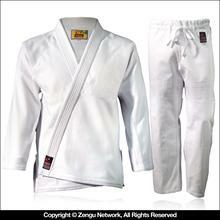 Love the gi, the quality is exceptional for the price, for instance the cuffs of the pants have 4 layers of stitching. I've had mine for 2 months . . . I'm 5' 9" and 195 lbs, mostly thighs and shoulders. 30" inseam. I cold water wash and high heat tumble dry my other gi. What size should I buy? Tough call as your height is an A2 but your weight is just out of A2 range (A2H is for someone a bit more broad/heavy). Personally I would recommend picking up the A2 and sticking to a cold wash/hang dry method. That should keep it just right. Regularly tumble drying on high heat is not recommended by the manufacturer. If you plan to use High Heat anyway, then A2 will end up shrinking too much for someone 195 lbs. In that case it'd be better to get an A2H or A3 and allow it to shrink, though the A2H is for someone heavier and A3 is for someone taller, so it wouldn't be an ideal fit. For this reason it is much better to go for an A2 and stick to the manufacturer's instructions of cold wash/hang dry. Q. I love how light this GI; only problem i had was it stretched by 2 inches and won't shrink back after first roll. I just got it trimmed . . .
A. I love how light this GI; only problem i had was it stretched by 2 inches and won't shrink back after first roll. I just got it trimmed . . . Comment. I love how light this GI; only problem i had was it stretched by 2 inches and won't shrink back after first roll. I just got it trimmed . . . I love how light this GI; only problem i had was it stretched by 2 inches and won't shrink back after first roll. I just got it trimmed in the sleeves.